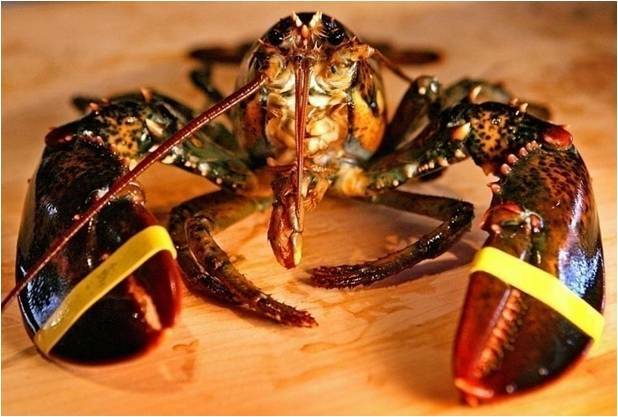 The American lobster, Homarus americanus, supports one of the largest shellfish fisheries in the world. 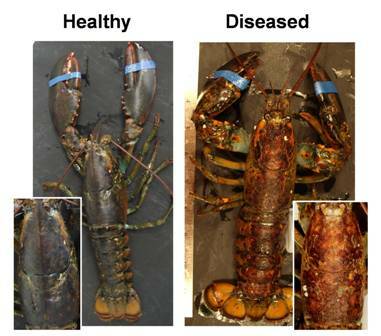 Recently, several diseases have impacted the fisheries and management of the American lobster. 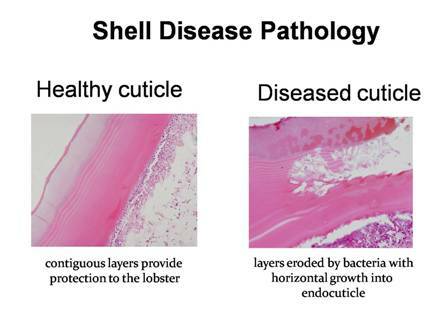 In the 1990s, an aggressive form of shell disease appeared, known as epizootic shell disease. This syndrome is characterized by deep, melanized lesions that can sometimes spread over the entire body of the lobster. 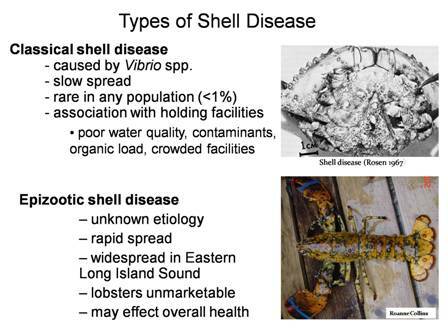 The appea rance and prevalence of epizootic shell disease in the American lobster has been devastating to the industry in the coastal waters of New England. In response, research has been initiated in order to understand the roles of the environment, pathogens, and pollutants in the ecology and etiology of the disease. 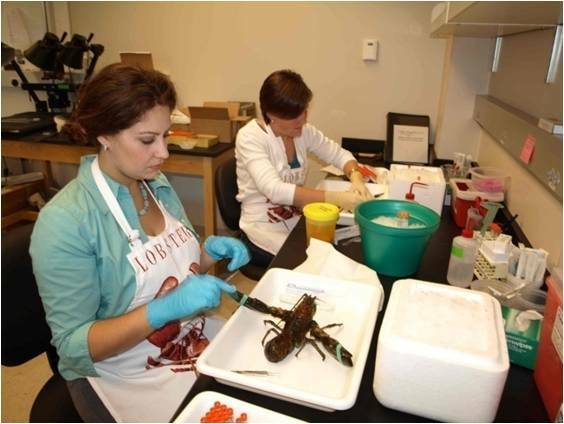 A comprehensive project is underway in which carapace, tissues, and hemolymph from 100 lobsters collected from waters of Rhode Island will be studied. 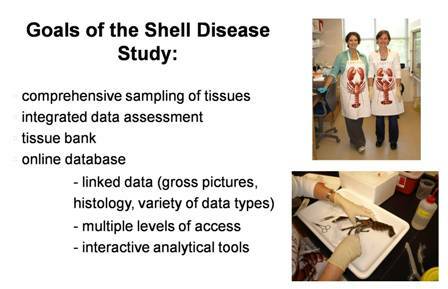 The resulting tissue bank and web-based data repository and instructional tools will be invaluable to both the scientific community working on this disease as well as to members of the lobster industry.